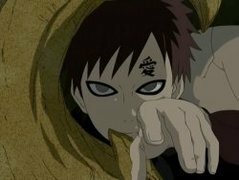 Gaara spends his days with Yashamaru, his surrogate parent. Meanwhile, a bored Shikamaru pulls a prank on Choji. Ever since he was young, Jiraiya has been a little pervy. He tries to involve Orochimaru in many of his exploits as well as his schemes to get Tsunade's attention. 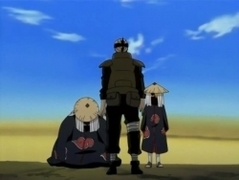 In Kakashi's story, we see him living on his own since his father, Sakumo, died. Rin and Obito are fascinated by Kakashi, but his aloofness makes him hard to figure out. 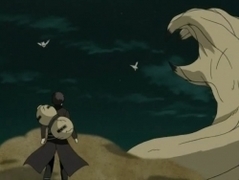 Orochimaru brings Sasuke to the Coliseum fighting ring, to lure out En Oyashiro, who may have some information regarding the Exploding Human incident. The match is called off when more Exploding Humans appear and the opportunity to meet Oyashiro seems lost. However, impressed by Sasuke's Sharingan, Oyashiro approaches him in person. Sasuke uncovers Fuushin's true identity at last, and begins to fight him. 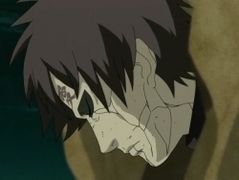 The moment Sasuke tries to read Fuushin's memories with his Sharingan, a wave of genjutsu from a massive red eye causes Sasuke to lose consciousness. He awakens to find himself alone, and sees tracks in the snow that indicate Fuushin has barely escaped alive. It's been two years since the end of the Fourth Great Ninja War. Shikamaru now has an important role within the Hidden Leaf government, and as a representative of the Leaf in the Alliance. 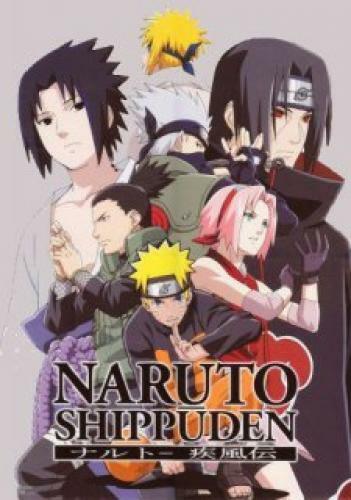 One day, a situation develops with shinobi disappearing in droves, and Shikamaru takes on a dangerous mission. 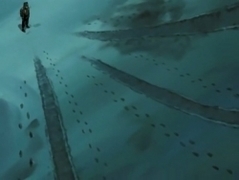 Shikamaru is captured while trying to save Sai and stop Gengo. Far from giving up, he racks his brain to find a away out of the situation. Just as an opportunity presents itself, Ro and Soku appear under Gengo's control! Ino, Choji, and Temari rush to Shikamaru's aid! 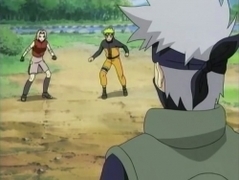 Choji takes on Ro, Temari goes after Soku, and Ino goes after Sai! Meanwhile, Shikamaru pursues Gengo. Can Shikamaru defeat Gengo's evil ambitions? The final battle begins! Naruto and Hinata's wedding day has been set. 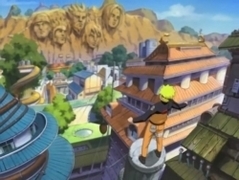 As the date approaches, Kakashi encounters a problem: Naruto's friends are all top shinobi—the first line of defense in the village. They work 24/7, and there are always a few who cannot attend celebrations. As Kakashi tries to find the most reasonable solution, he announces a super-secret mission to find the couple a wedding gift.